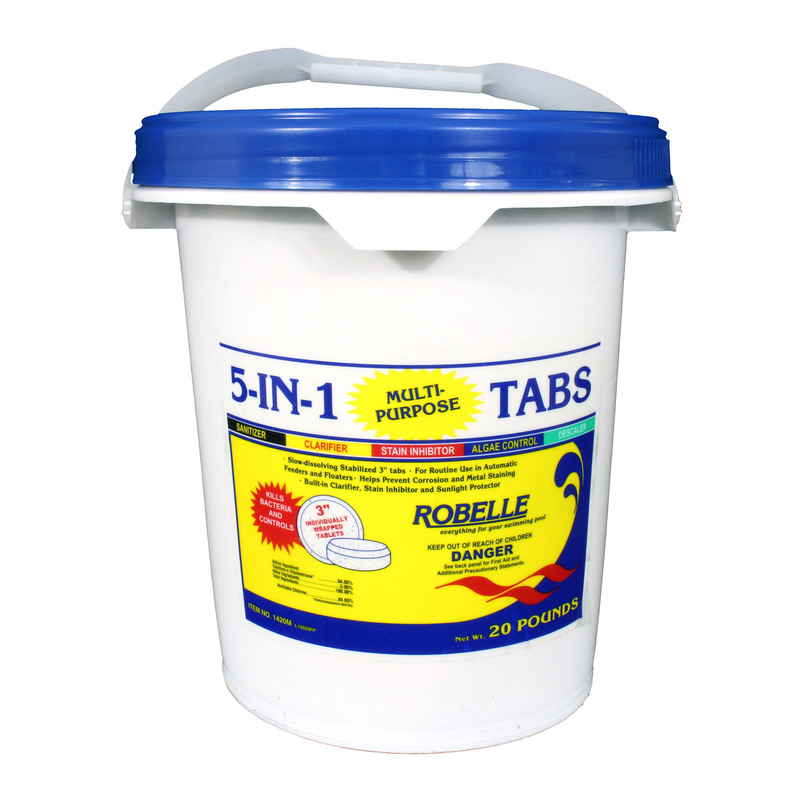 Robelle 5-in-One Multi-Purpose Tablets contain a proprietary blend of ingredients that will reduce the amount of pool chemicals needed to keep your swimming pool clean. Each 3" 8 oz. 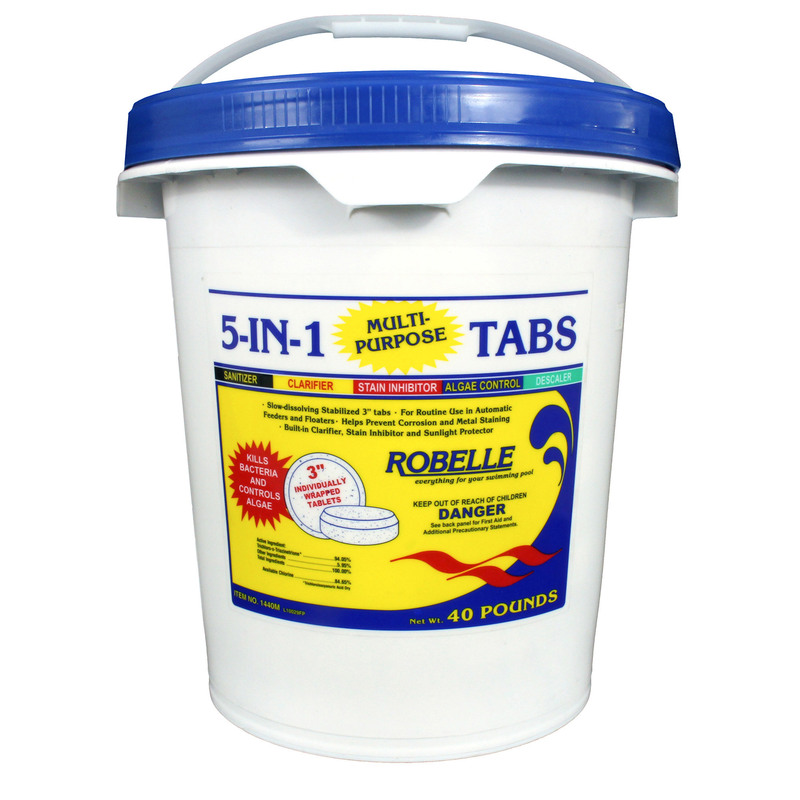 tab is individually wrapped for easier and safer handling, stabilized to prevent burn-off, and are slow dissolving to maintain a proper free chlorine level. A built-in clarifier produces crystal-clear water. 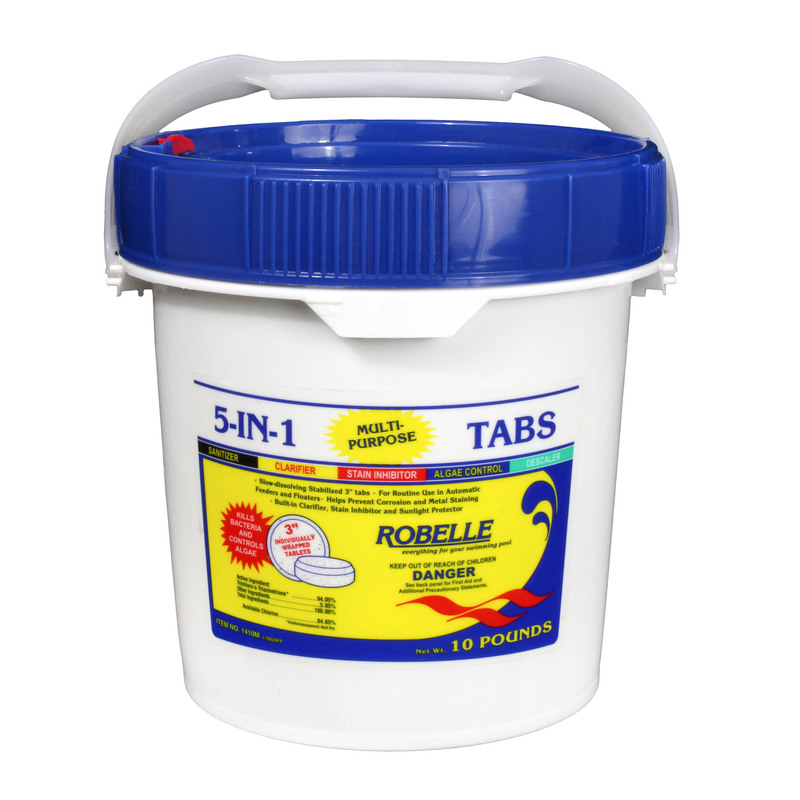 The stain-inhibitor prevents and removes stains caused by metals and minerals. The tabs also include an algae preventer that will leave an algaecide residual to help get rid of algae and prevent it from coming back. The built-in descaler will prevent the build up of scale which can cause corrosion. These additional built in chemicals will allow you to spend less money on pool supplies. 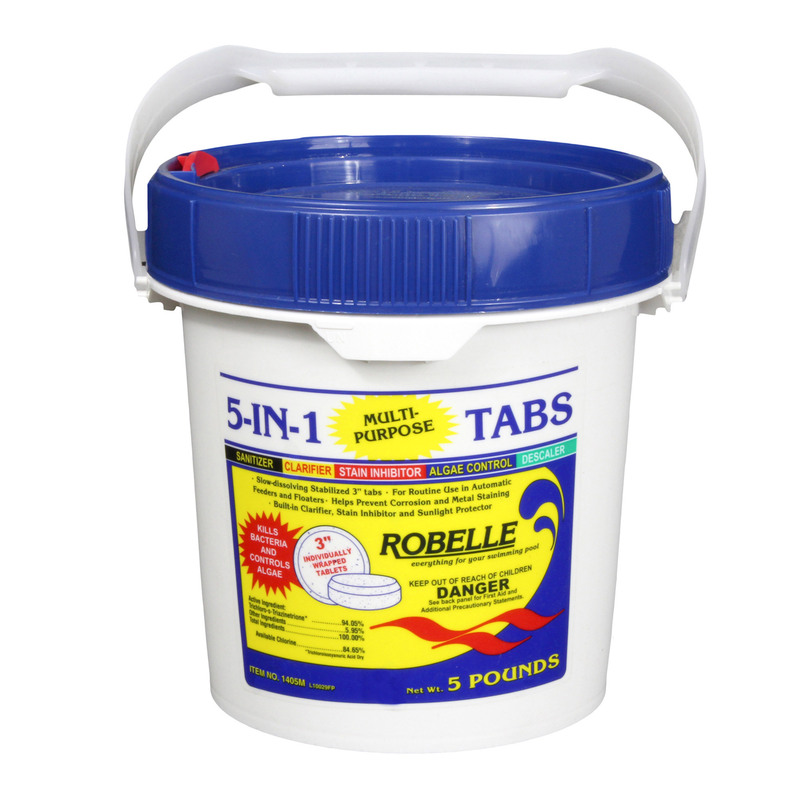 Robelle 5-in-One Multi-Purpose Tabs will kill bacteria, control algae, clarify water, prevent metal staining and corrosion, and reduce scale formation.